Additional Info: The gateway to Central America, boasts a land infused with Mayan culture. The ruins of Tikal are the country’s pride and joy, along with the ancient customs still alive with Highlands inhabitants. 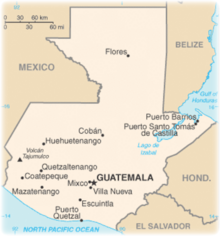 Guatemala is mountainous, except for the south coastal area and the vast northern lowlands of Peten department. Two mountain chains enter Guatemala from west to east, dividing the country into three major regions: the highlands, where the mountains are located; the Pacific coast, south of the mountains; and the Peten region, north of the mountains. Volcan Tajumulco, at 4,220m (13,845ft), is the highest point in Central America. Tajumulco has had several historical reports of volcanic eruptions, but none have been confirmed to be true eruptions. Volcan Tajumulco is a spectacular climb and provides views of both Mexico and Guatemala and on clear days you can see the Pacific Ocean. This is a popular climb but is not particularly catered towards tourists, so getting there without a tour will require getting on the right dusty bus. From Guatemala City, catch a bus to San Marcos (160 miles) and then look for one of the daily buses heading towards the village of Tuichan. The start of the hike is about 3 miles from the volcano's base, which means that a large part of the hike is trekking to the volcano. The descent is often said to be more beautiful and enjoyable that the ascent which is mainly trekking until the last portion. 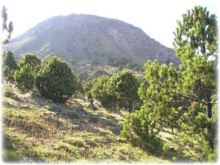 The route takes you across a beautiful ridge and down through a thick pine forest. Rock climbing, more of a day trip activity, is popular in Guatemala also. Check out the volcanic locations where you get to put your climbing skills in action on vertical faces. In the area around Lake Amatitlan, a volcanic lake in south-central Guatemala, fairly close to the capital, there are many gigantic rock walls to climb. If you are an experienced climber there are over 20 routes you can choose from, everything from 5.9 cracks to 5.12 open faces. Tikal is the largest of the ancient ruined cities of the Maya civilization. It is located in the El Peten department of Guatemala. 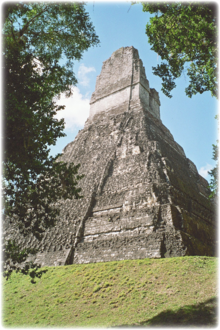 Now part of Guatemala's Tikal National Park, it is a UNESCO World Heritage Site and a popular tourist spot. The closest large towns are Flores and Santa Elena. Tikal was one of the major cultural and population centers of the Maya civilization. Though monumental architecture at the site dates to the 4th century BC, Tikal reached its apogee during the Classic Period, ca. 200 AD to 850 AD, during which time the site dominated the Maya region politically, economically, and militarily while interacting with areas throughout Mesoamerica, such as central Mexican center of Teotihuacan. Many companies offer guided tours of the Tikal Mayan site. Approximately 10 square miles of central Tikal have now been mapped, revealing over 3000 separate buildings: temples, shrines, ceremonial platforms, small and mid-sized residences, ball courts, terraces, causeways and plazas. La Antigua is a city in the central highlands of Guatemala famous for its well-preserved Spanish Mudejar-influenced Baroque architecture as well as a number of spectacular ruined churches. It has been designated a UNESCO World Heritage Site. This is a magic and captivating small town that makes you feel time might have stopped some 300 years ago.